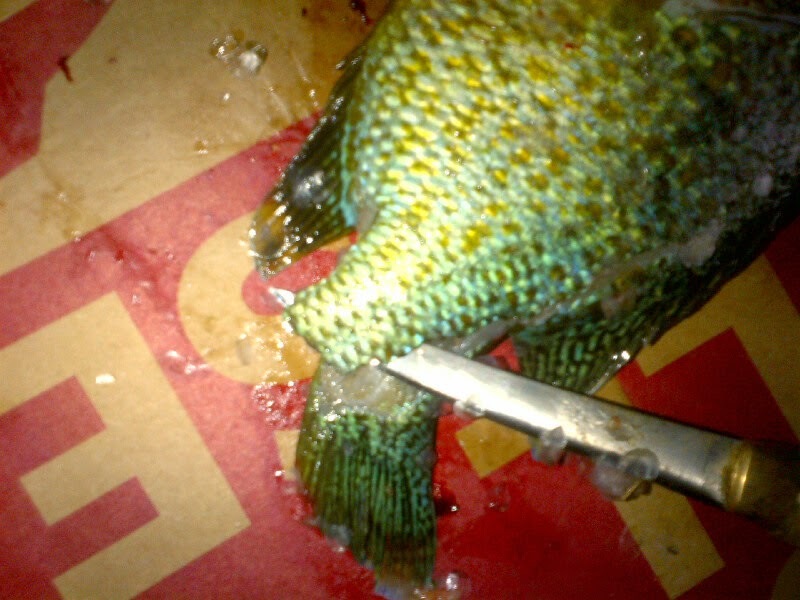 Check out how I fillet a bluegill or sunfish. 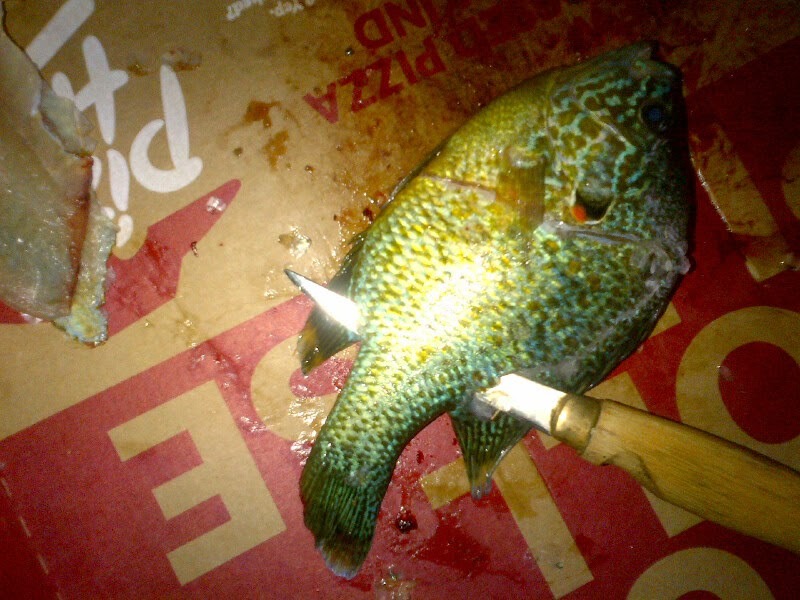 This method comes in handy especially if the fish are a bit on the small side. 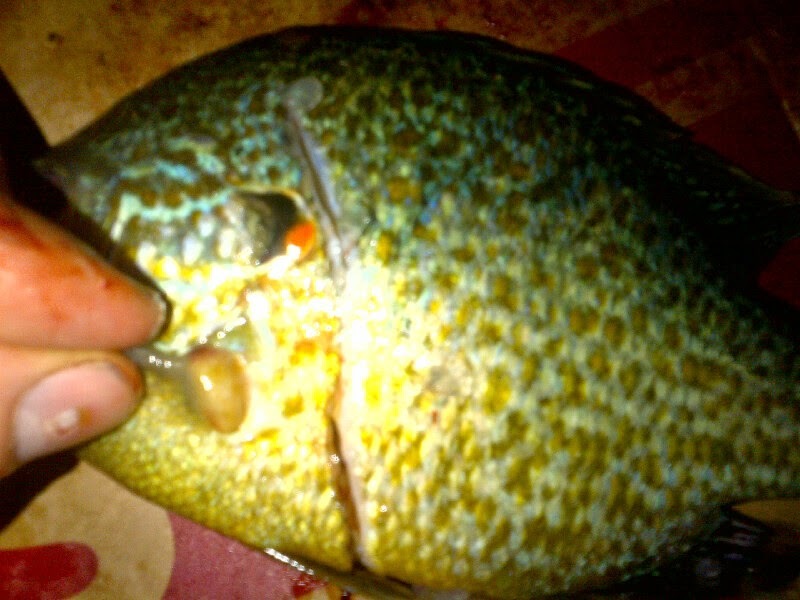 You will get almost all of the meat off of the bluegill and zero bones when using this method. 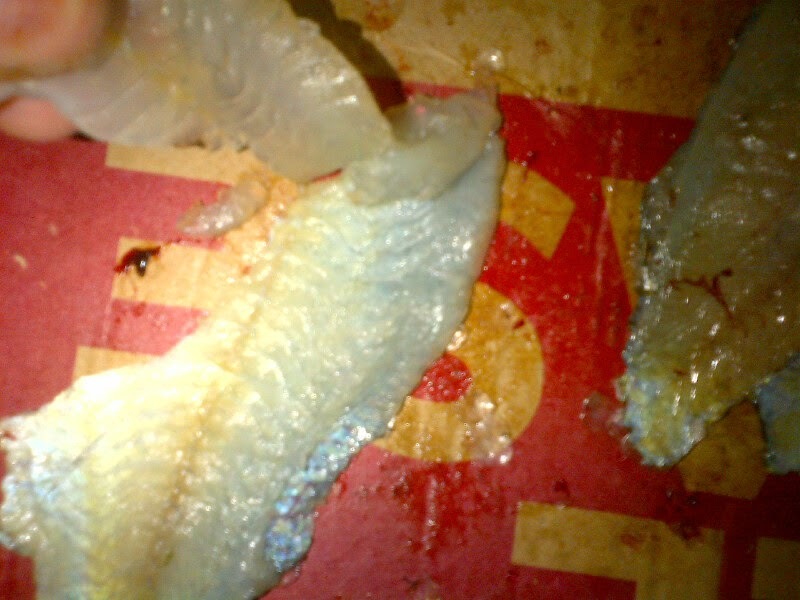 A little heads up for the squeamish readers.... 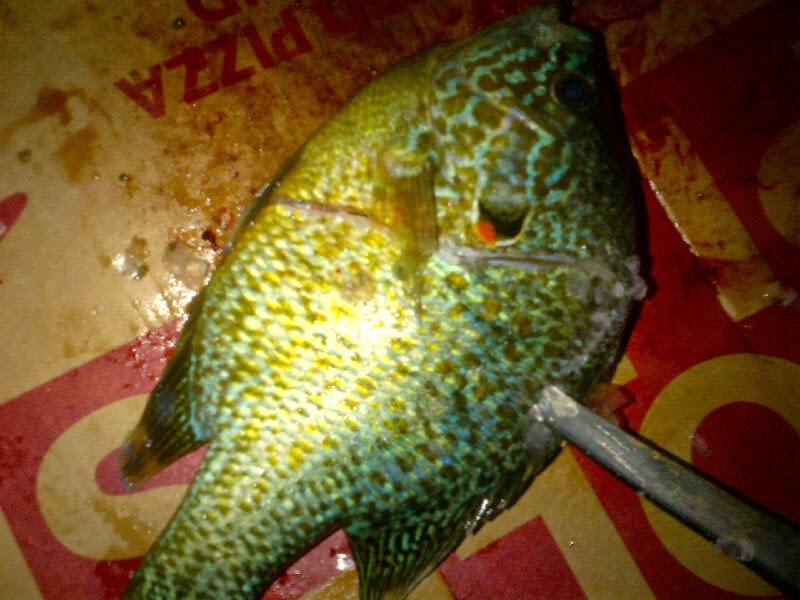 I took pictures of every step so if you do not wish to see a cut up bluegill do not continue to read. Make a cut behind the fin. Go along ribs. This takes a little bit of skill to feel for the ribs but you will figure it out. Go along the ribs until you get to about this part. 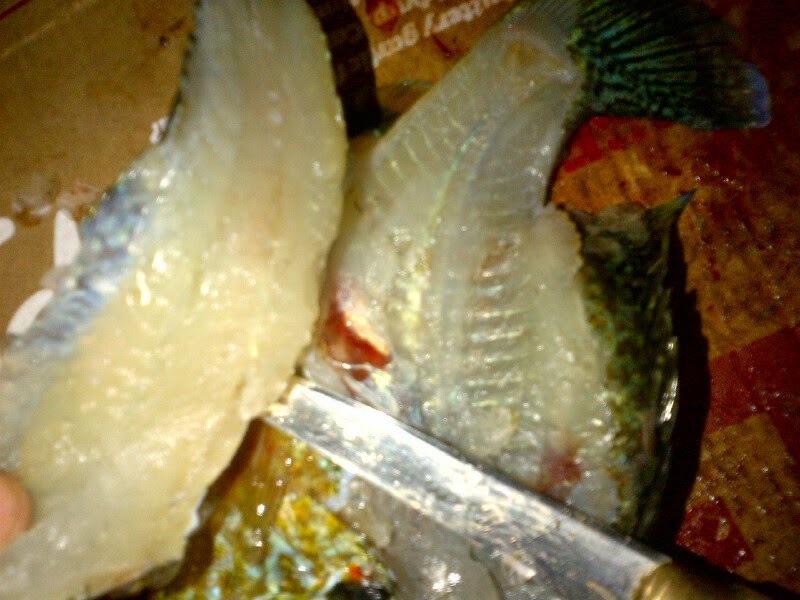 You will then be able to push the knife all the way through to the other side of the fish. 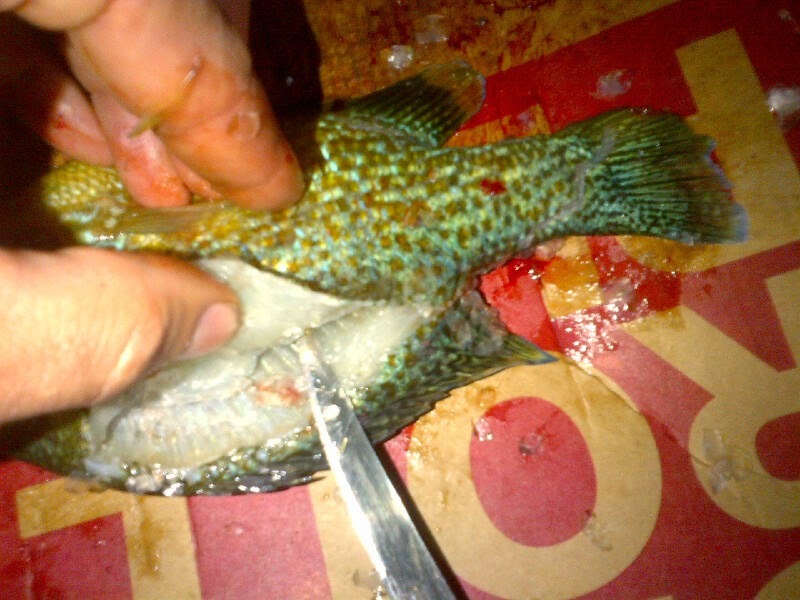 Fillet all the way down to the tail. Go back and run your knife along the ribs pulling the meat away from the bones. The fillet pulls off once you get to your original angle cut. 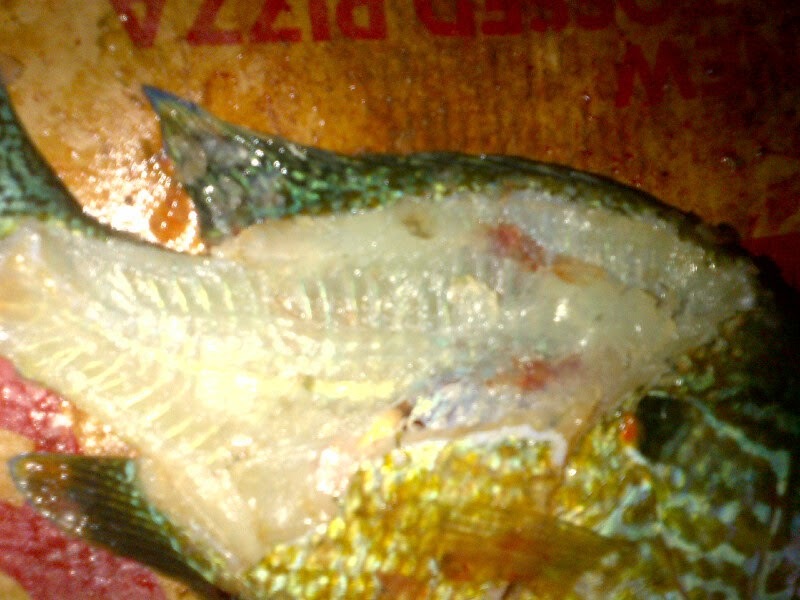 Looks like a fish on a cartoon. Repeat for the other side. 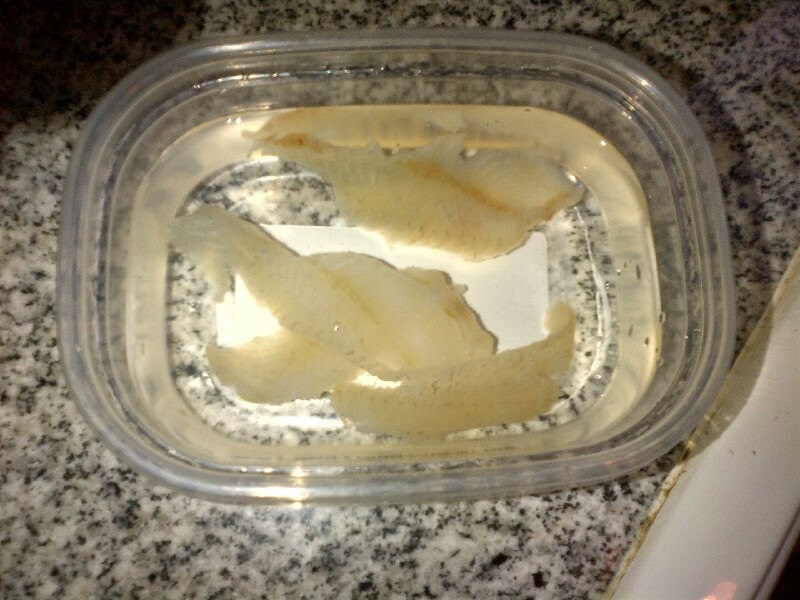 Once both fillets are off of the fish. You can skin the meat off like this. 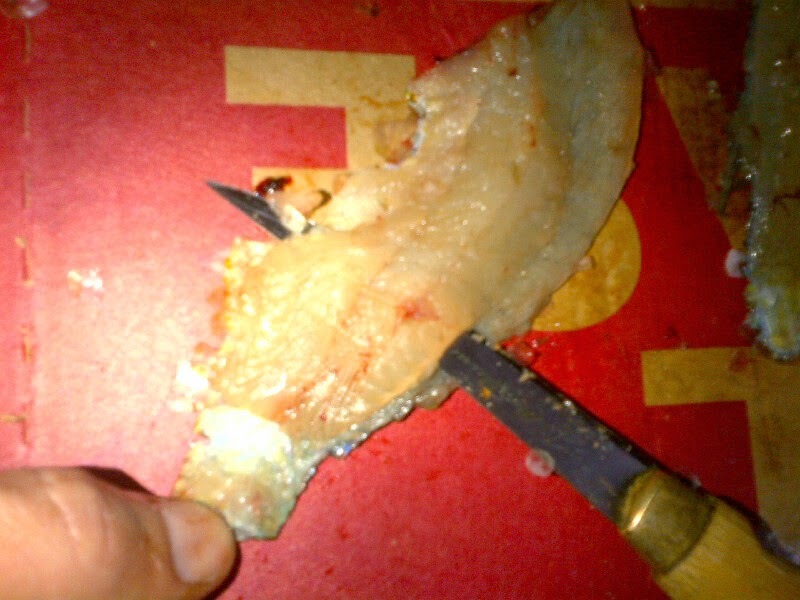 Use your fingernail to push down on the skin then fillet along the skin and meat pushing down with your knife. Keep going until the meat has separated from the skin. You can use a bottle cap to get a better grip on the skin if you need to. 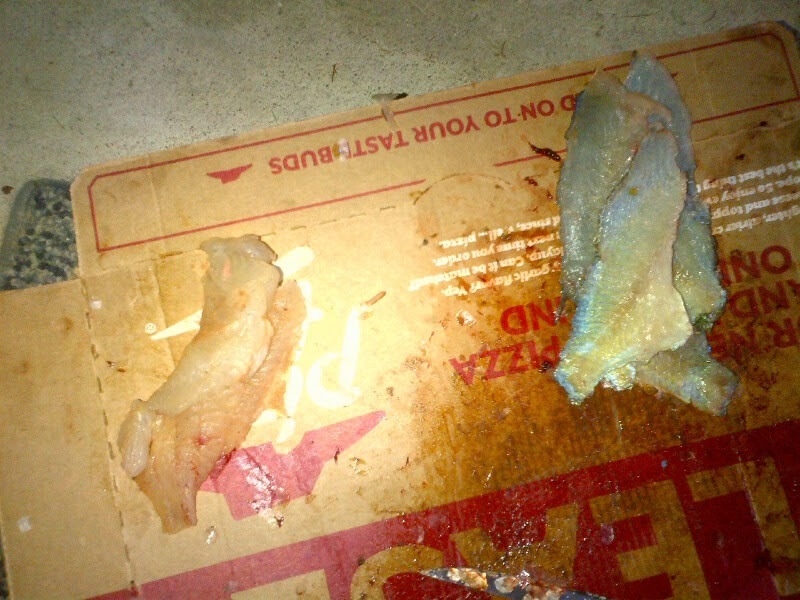 Meat on one side skin on the other. Rinse in some cold water until all the floaties disappear. You are good to start up the oil! 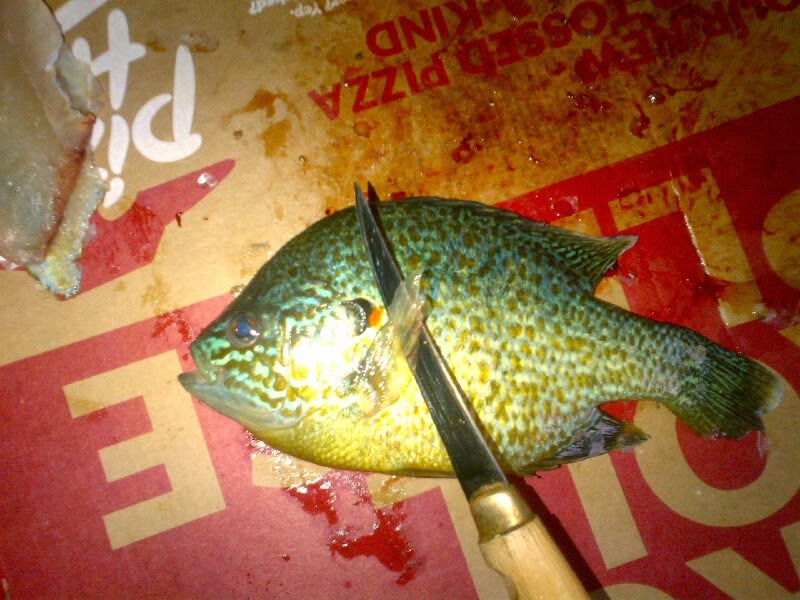 Now that you know how to fillet a bluegill or sunfish. Get out there!